We wish you and yours a Happy New Year from MRC. The New Year brings hopes of positive changes, progress and all types of prosperity and the use of resolutions to achieve one's goals. 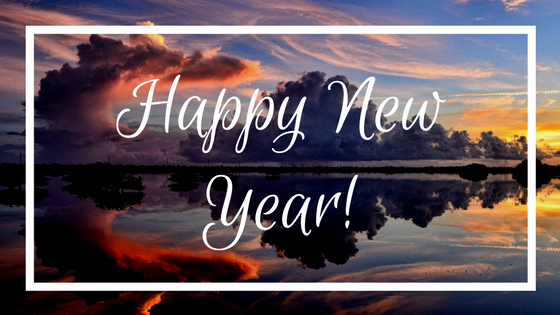 We hope to inspire you to make a resolution this year to reduce your impact on the environment around you. Whether it's choosing to ride your bike rather than drive your car, to use reusable shopping bags or to adopt a zero waste lifestyle, small changes can make big differences. 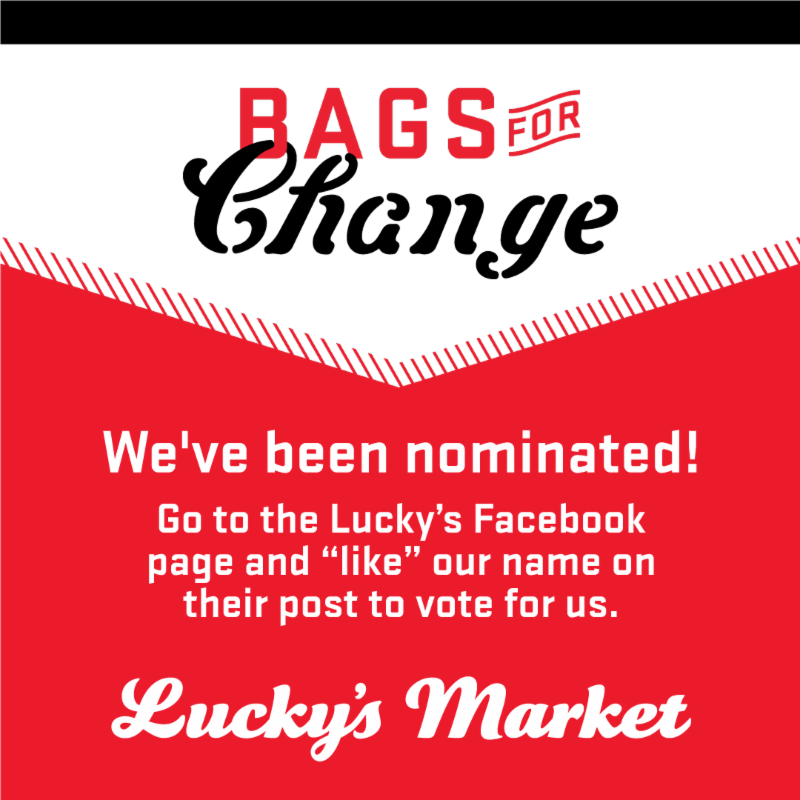 Today is the Last Day to Vote for MRC for Lucky's Bags for Change Program. Vote Now! Marine Resources Council has been nominated for the Lucky's Bags for Change program! If you are familiar with Lucky's, you'll know that they incentivize shoppers to use reusable bags (way to go, Lucky's!). When reusable bags are used at checkout, the shopper is given a wooden dime to donate to one of three organizations. What’s more, Lucky’s Market will match each donation! We are one of five different organizations nominated as a potential partner. In order for us to be in the top 3, we need all of you to go to their Facebook page and "Like" our name on their post. Click here to go to their Facebook page to vote! Social marketing is the science of using market research and strategies to change human behavior. Based in social theory, it uses a variety of tools like reminder prompts, persuasion techniques, and communications to achieve social change for the better. It targets individual audience's ideas and behaviors to determine what prevents them from doing the desired behavior and develops specific techniques to address them. How much of a problem are grass clippings? Mowing a typical lawn results in about 3,000 lbs. of grass clippings annually. 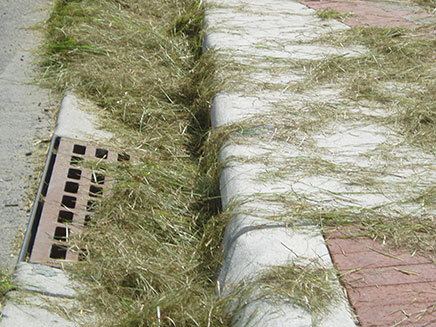 When blown into the street, as they often are, these clippings are collected by stormwater runoff and end up in the Indian River Lagoon wehre they are a source of nutrient pollution and muck. The MRC will be working with Uppercase Inc., on a Grass Clipping Social Marketing Campaign in Martin and Brevard County. The campaign will include an observational study to record information about lawn care in neighborhoods in Martin and Brevard Counties and focus groups to learn why grass clippings are being left on the street and what will motivate mowers to change their behavior. We will be seeking citizen scientist this spring to help collect data. Stay tuned for ways to get involved in this important research! To view the results of a similar grass clippings campaign in Alachua County, click here. Coming Soon! 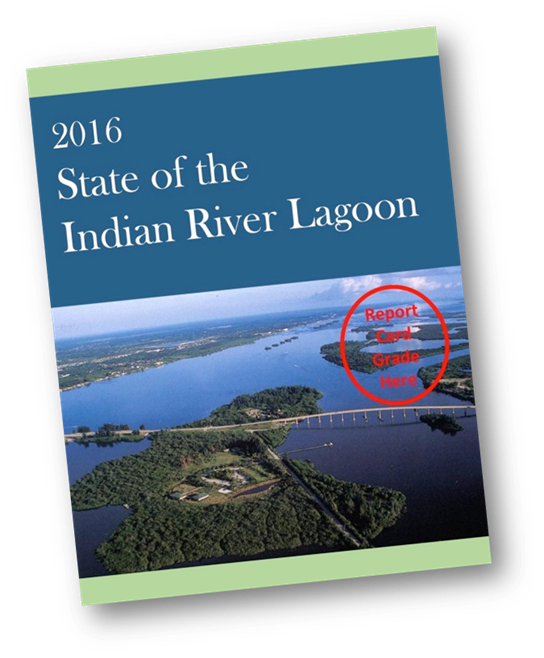 MRC's 1st State of the Indian River Lagoon Report! The first comprehensive look at lagoon-wide health using scientifically-based methods is coming out in early 2018! The number of hard copies that can be printed is dependent on community support. We want to print and distribute to the 1.7 million residents of the Lagoon Community. Every donation counts! To donate to the Report Card, click here. Join us for our February Brown Bag Lunch, with guest speaker Jake Zehnder from Brevard Zoo's Restoration Team. He will provide insight on the projects that the Brevard Zoo is working on to involve the community in restoration of the Indian River Lagoon. 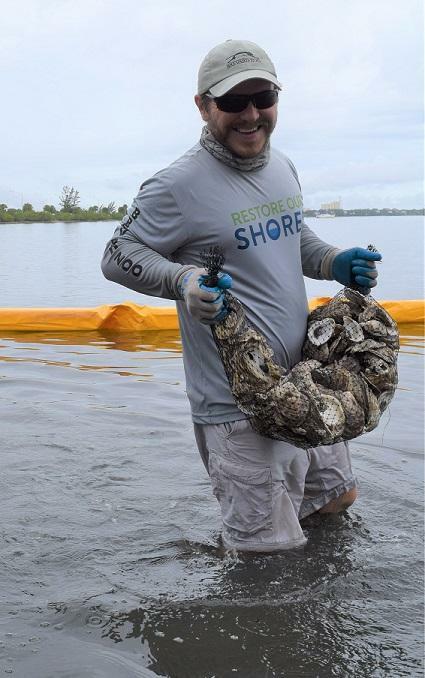 These programs are a response to the problems facing the Indian River Lagoon that have led Brevard County to pass The Save Our Lagoon tax referendum in 2016 and will help to overcome the hurdles that we, as a community, will face in restoring natural resilience to the Lagoon. To register for the February Brown Bag Lunch, click here. The recent cold weather can have strong impacts Florida's wildlife prompting the Florida Fish and Wildlife conservation Commission (FWC) to make preparations to rescue distressed animals. Cold snaps can cause a number of problems in animal populations. FWC reports that about 100 sea turtles have been rescued thus far and to look for and report sea turtles floating atop the water. 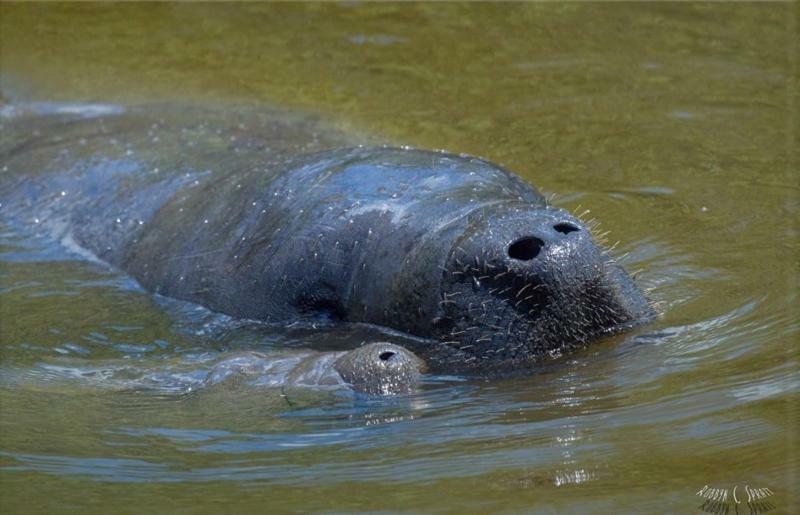 Also, be on the watch for manatees clustered in canals with warmer water, near power plant discharges, or in natural springs. Be sure not to disturb the animals and report any animals seen in distress to the FWC Wildlife Alert Hotline at 888-404-FWCC (3922). Kevin has been a volunteer with MRC for the past several years. He has been the smiling face that mans the front desk, answering phone calls and greeting visitors. As a dedicated Lagoon-Lover, Kevin has spent over 200 hours volunteering with us since 2015. 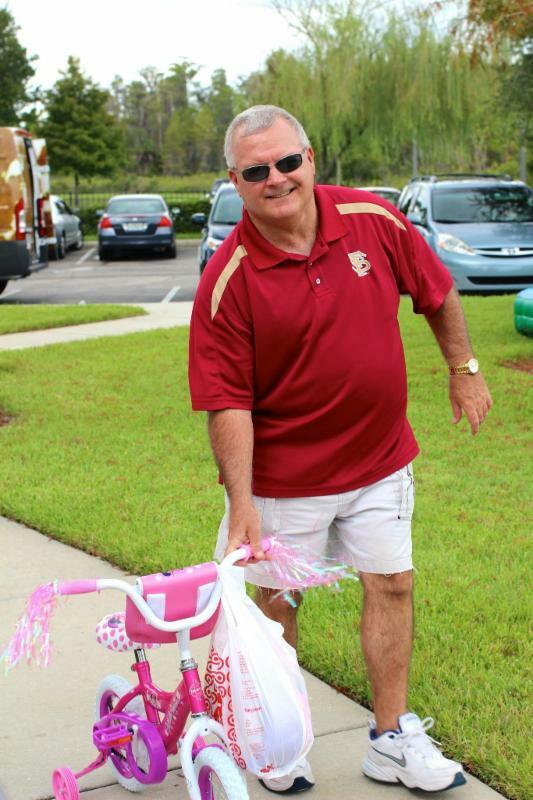 He also enjoys fishing, cheering on Florida State, and grilling. This past week was Kevin's last week with us, as he and his family are relocating to the St. Pete area. Kevin, thank you for your commitment to MRC and the Lagoon. You will be missed! 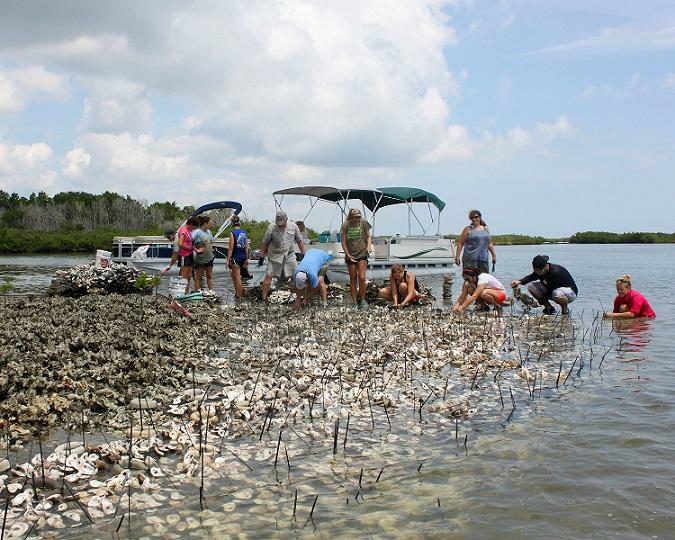 Thank you to all of the volunteers who participated in the January Mangrove Workshop! 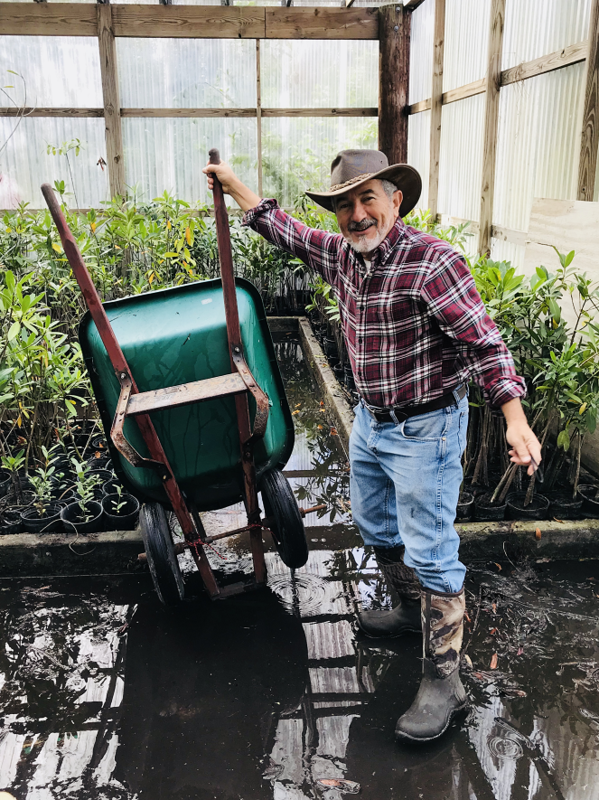 We prepared mangroves for planting, introduced salt into the mangrove wells, organized the species of mangroves, and gave the mangroves a little TLC. If you're interested in participating in these workshops, contact Kate Zehnder. An internship is a great way to boost a resume, gain real world experience and develop the skills needed for a successful career! We have a variety of internships available this Spring, including Environmental Education, Web Design, Volunteer Management, Aquarium and Donor Relations. Become a part of the MRC family! Contact Kate Zehnder for more information. Caity is MRC's new Lead Scientist in charge of restoration, mangroves, citizen science projects, and the groundwater wastewater study. Caity is a native Floridian, born and raised in the Tampa area. She grew up deep sea fishing with her family, which inspired her love for ocean creatures. At the age of 9, she became captivated by the underwater world when she went scuba diving for the very first time. Before coming to the MRC, Caity worked for NOAA in the Cooperative Tagging Center Program, a citizen science program functioning to tag billfish and tuna. In addition to her dedication to conservation, she considers "Desiderata," a poem by Max Ehrmann to be her motto. ﻿it is still a beautiful world. Join us at the Ted Moorhead Lagoon House on February 13 from 11:00 am - 12:00 pm for a special presentation by FIT alum and serving NOAA Officer, Lieutenant Commander Claire Surrey-Marsden. Although the NOAA Corps is the smallest military service, with approximately 400 commissioned officers, they are vitally important to the maritime world. 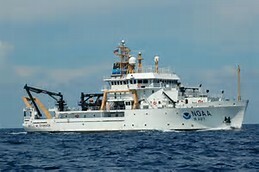 NOAA officers command survey ships and research aircrafts, lead expeditions, operate satellite systems and provide oceanographic expertise to other military branches. 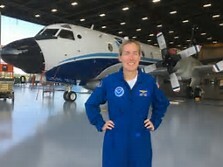 Claire will provide an overview of NOAA Corps, its career opportunities, and answer questions. Her visit and presentation should be especially interesting to university students in the engineering and marine/oceanography/meteorology/biology disciplines. NOAA is a great career for those interested in our maritime world. Click here to register for the NOAA Corps Informational. Thank you to all who attended the December 2017 Rain Barrel Workshop! 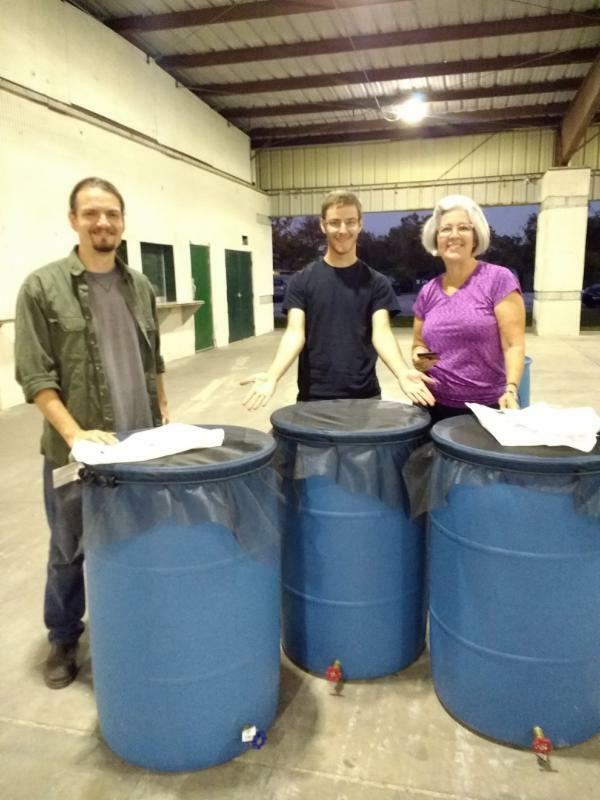 MRC, in conjunction with Brevard County's Department of Natural Resources, held a Rain Barrel Workshop at Wickham Park on December 15, 2017. Attendees learned about the importance of rain barrels and how to make their own. The workshop was a great success thanks to a beautiful night and great volunteers, staff and attendees! Become an MRC Volunteer! 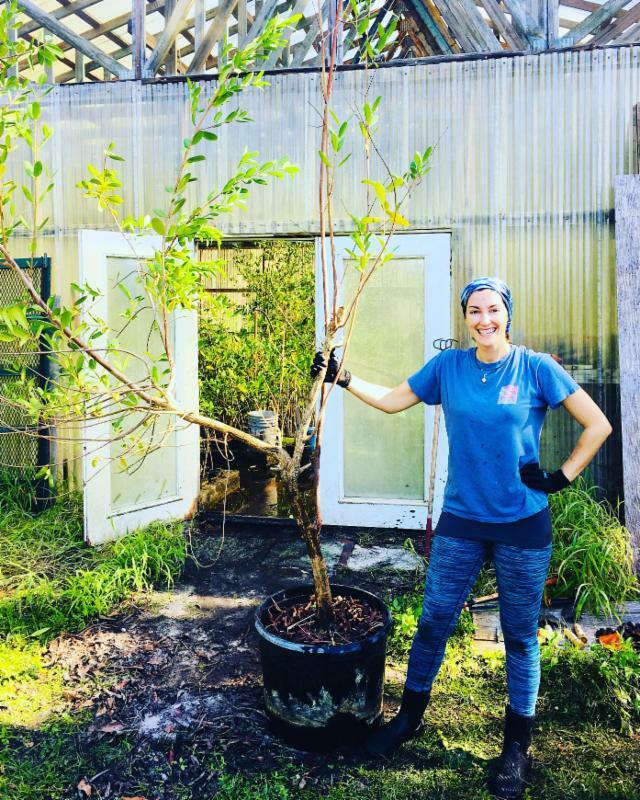 We have many different ways to get involved, from our brand new Mangrove Team, to the upcoming Groundwater-Wastewater Study, and Community Outreach and Events.